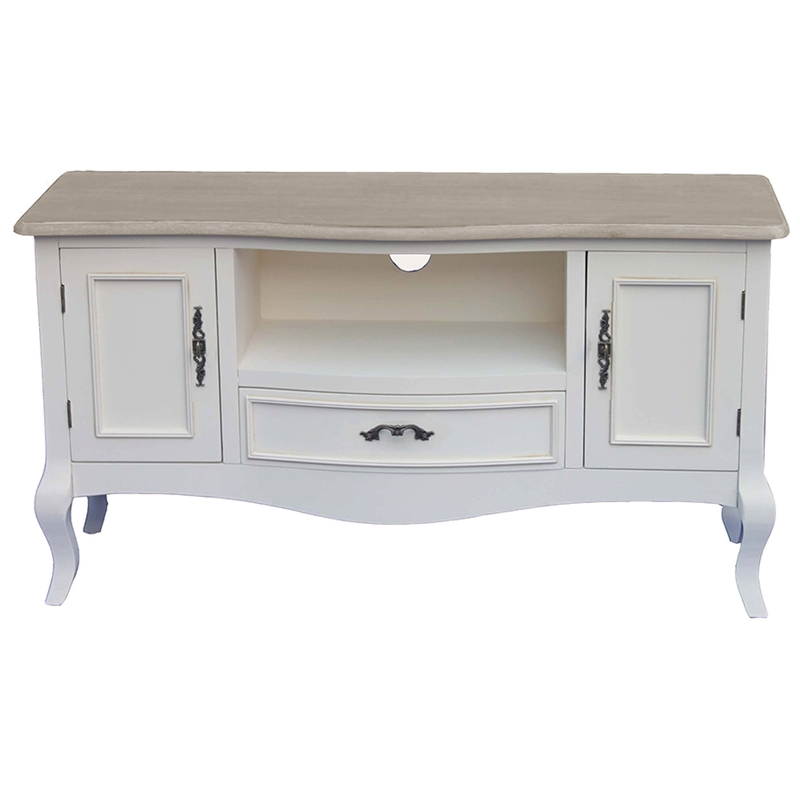 This is a stunning TV unit which is part of the Chateau collection. This gorgeous TV set has 2 doors and 1 drawer, and a compartment and a lot of room on top. It's not only practical but also very beautiful. This would look magnificent in a living room and certainly spread elegance.